Property Finders (or Property Search Agents as they are also known) are companies and individuals representing a buyer in a property transaction. The termis more common in the United Kingdom, but in the United States the situation is referred to as buyer brokerage, and in Australia it isknown as Buyer Advocacy. Property Finders specialize in sourcing and negotiating the purchase of property on behalf of the buyer. In essence, the Property Finder willdevelop an in-depth understanding of his client’s requirements, desires and property goals, and then attempt to find a property which matches all of these requirements for his client to acquire. Property Finders/Buyers’ Agents originated in the United States during the early 1990s and have grown to become involved in over 67% of property transactions there. In recent years, stemmed primarily from the relocation industry, property finders now have a prominent involvement in property purchases across Europe, where it develops the market for the purchase of second homes in countries other than that of habitual residence. The majority of property finders charge an engagement/retainer fee before they begin the search for a property. For some, the appealis the time savings. 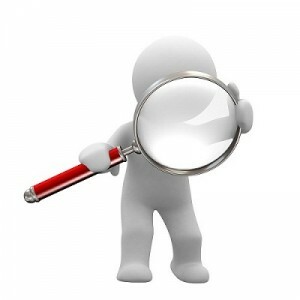 Having the property findersearch out ideal properties keeps many buyers’ weekends free from scouring through website. Some firms offer evaluation services in addition to basic finding services; that is, properties are evaluated in terms of potential for capital gain and Rental Return, quality of location, potential for renovation or redevelopment, etc. The benefits of local market knowledge and expertise have been found to be a key benefit of using a property finder. Property finders are a particularly useful resource for buyers of overseas property, e.g. ski property or seaproperty. The advantages of using a property finder in a foreign country include: – an established network of local contacts – ‘on the ground’ representation – knowledge and understanding of the different tax and legal systems.